When a dream’s message is integral to the continuation and survival of the Jewish people, that message must be spread and its lesson internalized at all costs. 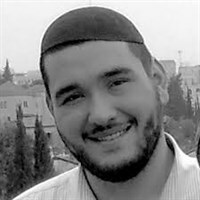 The writer serves as the Jerusalem Campus Rabbi for the Aardvark Israel Immersion Program. Previously, he served as Av Bayit and Talmud Instructor at Yeshivat Orayta, a post High School Yeshiva in the Old City. Originally from Lancaster, PA, Rav Josh came to Israel in 2007 and lives with his wife in Jerusalem. In this week’s Torah portion, we learn of Joseph’s rocky relationship with his brothers and find two clear contributing factors to the animosity. The first reason that the brothers held bitterness toward Joseph was because they resented the preferential treatment that he received from their father Jacob. The second cause of bitterness was due to Joseph’s famous dreams. As the verse states, “And Joseph dreamed a dream and told his brothers, and they continued to hate him.” (Genesis 37:5) This is not an isolated event, for we know of another instance later on in the verses whereby Joseph again tells over his dreams to his brothers, further vexing them and stoking their hatred of him. The entire episode is most perplexing. True, Joseph could not control his father’s preferential treatment but he certainly could have kept his dreams to himself rather than relaying them over. The question becomes clear: if the message was not being received and instead only brought about feelings of ill will between the brothers, why then did Joseph continue in the practice of recounting the dreams? In his work, Chamesh Drashot, Rav J.B. Soloveitchik provides a fascinating explanation on this question and writes a most contemporary message for our times. According to Rav Soloveitchik, Joseph’s dreams were not merely subconscious musings but were in fact a reflection of the very deep rooted fear and worries of insecurity and instability for his family’s life in Canaan. Joseph was waiting for the actualization of God’s promise to Abraham, “For your seed shall be a stranger in an alien land.”(Genesis 15:13) At this moment in history, their future in Canaan looked sure; however, Joseph lived with a sense of foreboding for what he knew would ultimately come. He felt that the family was not ready, and was wholly unprepared, for the exile from Canaan and the inevitable changes that lay ahead. Joseph’s dreams of binding wheat in the field symbolized the shift of environment from shepherding in Canaan to the agricultural way of life in the land of Egypt. Economics would not be the only change, there would also the broader cultural shift that the family would encounter after leaving Canaan. This idea expressed itself in Joseph’s second dream in which the sun, moon and eleven stars prostrated to him. According to Rav Soloveitchik’s explanation, Joseph was attempting to rouse his brothers and call them to action. In this new environment Joseph was cautioning, “If we will not be prepared for new conditions, the environment will swallow us! Our intellectual forces will completely assimilate. On the other hand, if we think of the future…We can render Abraham’s heritage triumphant in the alien surroundings too. Abraham’s Torah is very powerful, but only when we are prepared for the conflict.” (Chamesh Drashot, pg. 28). This was the core of the dispute between Joseph and his brothers: Do we live with the status quo and not worry about the future, or do we actively prepare for and make plans in order to weather the storm? We know that Joseph’s brothers, who made up the overwhelming majority, viewed him as a dangerous rabble-rouser and after long debate decided to sell him to slavery to Egypt. But history vindicated Joseph and his call to action, for it later became clear that the entire family of Jacob was saved from starvation thanks to his efforts in preparing Egypt for the days of famine. In fact, the brothers themselves admit to having been mistaken, as the verses state, “Please, forgive now your brothers' transgression and their sin, for they did evil to you.”(Genesis 50:17). Unfortunately, the Zionist call was met with skepticism and contempt. But similar to the biblical narrative, modern day Zionism has also been vindicated to some extent with the passage of time. The above insight into the nature of Joseph’s dreams explains why the biblical Joseph and the Joseph of 5662 continued to share and make their dreams known even in the face of antagonism and adversity. When a dream’s message is integral to the continuation and survival of the Jewish people, that message must be spread and its lesson internalized at all costs. In our era’s complex and ever changing world, we would do well to take the above message to heart. We must take the time to understand what history demands from us. May we all merit the fortitude to persevere like our ancestor Joseph, and to have the courage while in the face of adversity, to stand up to and rise to the challenge.